Dolby Atmos, DTS:X, and Auro-3D platforms give those looking for an immersive audio setup lots of choices. Home theater is back. Arguably the last category within the residential electronics industry to bounce back from the recession, today’s home theater market is fueled by the growing popularity of 4K and HDR (high dynamic range) video, and latest multichannel immersive audio formats. 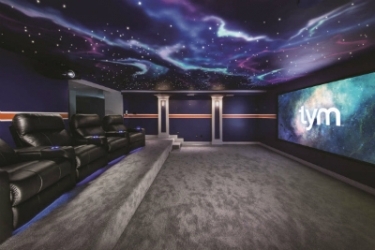 Dolby ignited interest in immersive audio when it launched its Atmos format for the residential market a few years ago. Pulling the format from its commercial division, Dolby introduced the term “object-based audio” to describe the process in which “objects” are placed within a soundfield. This approach differs from the standard methods, which assign sound elements to channels, and it enables mixing engineers to create audio experiences that surround listeners in a more realistic fashion, according to Dolby. Following the release of Atmos, similar formats from DTS and Auro Technologies were introduced. After some delays, DTS:X format is now readily available. Available as a firmware upgrade or as part of new A/V receivers and processors, DTS:X is showing up on a growing number of home video release soundtracks, including 4K Ultra HD Blu-ray discs. DTS also offers its DTS Virtual:X and DTS Headphone:X formats. DTS Virtual:X works with all of DTS’ codecs and a range of speaker system configurations to produce an immersive listening experience regardless of the speaker layout. Headphone:X provides users, including gamers, smart device users and computer users with a similar audio experience from the privacy of their headphones. With roots in commercial audio like Dolby’s Atmos format, Auro Technologies’ Auro-3D has gained traction particularly in the European home theater market. The company says Auro-3D adapts to a variety of systems, and like the other immersive formats available to consumers, Auro-3D enlists height channels to create a more enveloping experience. In addition, unlike the other formats, Auro also places an emphasis on music and works with the music production community to provide music encoded with Auro-3D. To get an idea of what some popular custom industry manufacturers are offering, here are 19 products to help integrators put together top-notch immersive audio systems.